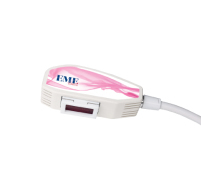 Action light is the new aesthetic device for permanent hair removal with intense pulsed light. It has the possibility to treat different phototypes, thanks to the 3 filters that select the different intensities of red light, 610, 630, 645 nm. The light beams selected by these filters act on hair melanin. The energy absorbed by the chromophores of melanin in the hair follicle increases the temperature of hair bulb, and causes its thermal destruction and the destruction of the capillaries that fed it. The first results of permanent hair removal treatment are visible since the second session: the hair falls, some areas of skin become hairless, the speed of growth of hair decreases. By increasing the sessions carried out, it will also increase the days between the sessions, due to slowdown of the hair growth. In our clinical study were necessary 4-8 sessions to get results maintained for a long time. After a series of “attack” traitments, we suggest to remind the patient to make maintenance sessions. The Intensed Pulsed Light (IPL) is a non-invasive treatment that uses pulses of visible light at high intensity. IPL is one of the most required technologies by the clients of beauty salons and doctors because it is able to decrease progressively the growth of unwanted hair and photo rejuvenate the skin. Depending on the wavelength and of the filters used, it is possible to emit light beams with different characteristics for the different purposes. The treatment of Intense pulsed light Action Light has to consider the vital phase of the hair. It has been proven that the better results are obtained during the anagen phase (the phase of growth of the hair) because the melanin is more concentrated. Because of this, we suggest to shave the area to be treated one week before the treatment, to hit the bulb. It is estimated that aprox. only the 30% of treated hair is in anagen phase, because of this it is necessary to repeat more treatments, to try to hit each bulb during this special phase. The IPL is able to stimulate the metabolic processes of the skin through the heat. The age spots, couperose, rosacea decrease,and the heat stimulates the production of collagen and elastin, two inportant substances that make the skin more elastic and toned. As a consequence, wrinkles improve and stretch marks becomes smoother. 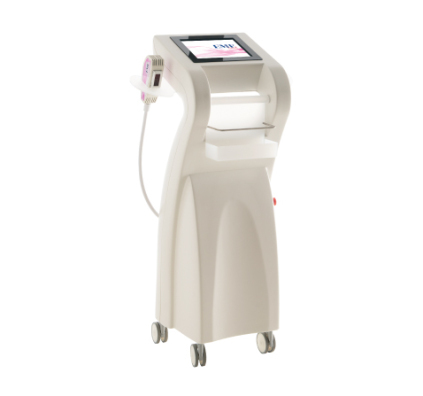 The flash lamp of IPL has also a bactericidal power against acne. The wavelength of 610 – 1200nm is used for definitive epilation, since the light emitted at these wavelengths is absorbed by the melanin in the hair follicle. The melanin transfers the energy of the flash to the hair bulb, which is destroyed by the heat. Increased collagen and elastin, superficial wrinkles are filled, the skin looks more toned. The dyschromias decreased and the skin appears smoother. The heat transferred from the hair to the hair bulb leads to thermal destruction of small blood vessels that carry nutrients to the bulb, causing a progressive fall of hair.